← Springtime and visitors. . .
Can it really be two months . . .
. . . since my last blog? Yes, Janice, it can. More than two months actually. Kind of like stepping on the scales and staring with disbelief at the numbers. Time is supposed to speed up as you get older, but this is ridiculous. So since April when I last wrote summer has arrived with temperatures in the 90’s and even 100 on a couple of days. In April the first leaves were still making their tentative appearance, now the vines are long and gangly with bunches of pale green fruit. 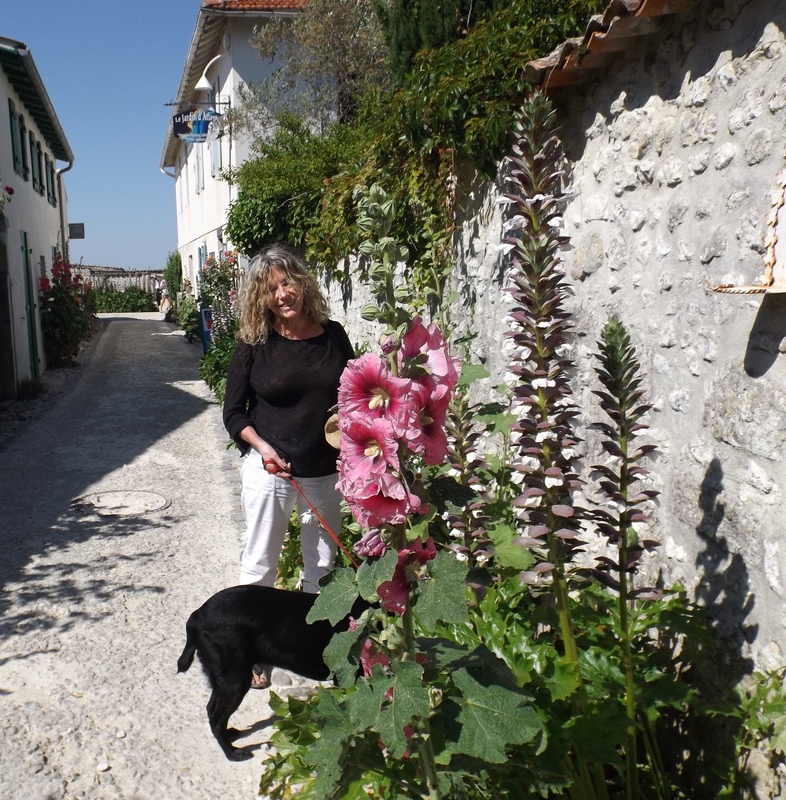 Like the vines, French villages go fairly dormant in the winter then come alive in the summer months. Posters for fetes, music festivals, wine tastings are strewn about like confetti, almost every village seems to have something going on and it’s difficult sometimes to choose. I missed the transhumance–the sheep being moved from one place to another–in my old village of Montpeyroux a few weeks ago, but will return there next week for a big meal that will be served on long tables set down the middle of the street. Pictures below are from the transhumance and repas my first year in France. Here in Laurens, there are Sunday barbecues at one of the wineries, evenings of jazz and, tomorrow, a vide grenier (rummage sale) where I I’ll buy all sorts of things I don’t really need. There are so many great things about living in France, but one of them is the opportunity to leave it once in a while for quick and inexpensive visits to countries. Spain is of course just a few hours away and I’ve driven back and forth many times. Last Xmas, Joe and I flew to Krakow and in May I spent ten days in Budapest with my friend Sandra. Quite a thrill to lean out of our apartment window and see the Danube down at the bottom of the road. The day we left for Hungary, I ate breakfast in my apartment here in France, we had lunch in Rome where we changed planes and ate dinner at a sidewalk cafe in Budapest. The language was impossible, but apparently English is just as difficult for Hungarians. The apartment manager looked at my first name on the receipt and said, “I have not been introduced to this word before. I guess that it is said Yaneecha.” I rather liked it. On the work front, I’m continuing to compile notes on my Year In The Vineyard project with Brigitte at Domaine de Cébène –hard to believe that we’re only three months away from harvest — writing some articles and looking, sort of, for an agent for the book that I was writing when I first came to France. I go through stages in which I think it is quite good, wonder why it hasn’t been picked up, then decide that nothing works and I tear it apart again. I’m writing articles here and there and recently took on a new freelance assignment so life is very good, busy and, occasionally, productive. Perhaps the length of time between blogs is an indication! At least with blogging, you don’t have a boss dictating deadlines!!! Still jealous of you! So true, but there’s not much money involved either. I enjoy your blog too, have saved several recipes to try.